The union UFIGA (Union of Industrial Foresters of Gabon and Aménagistes) hired last November, the 22th a referent FLEGT-Certification. Hugues Serge MOUIDY BOUNGUENDZY, forestry engineer, has nearly 17 years of experience in the monitoring of logging and the legality of this activity. He has a great knowledge about the application of the legislation, is well acquainted with the various forest companies, and has good relations with the administration. to get more constructly involved all private actors in the forest-wood sector in FLEGT mechanisms and forest certification through various activities defined in the framework of ATIBT projects related to forest governance. support the General Delegate, Françoise VAN DE VEN in the lot of initiatives and progress already realised by the union. Indeed, UFIGA is a partner of ATIBT in the implementation of FLEGT projects and certification. 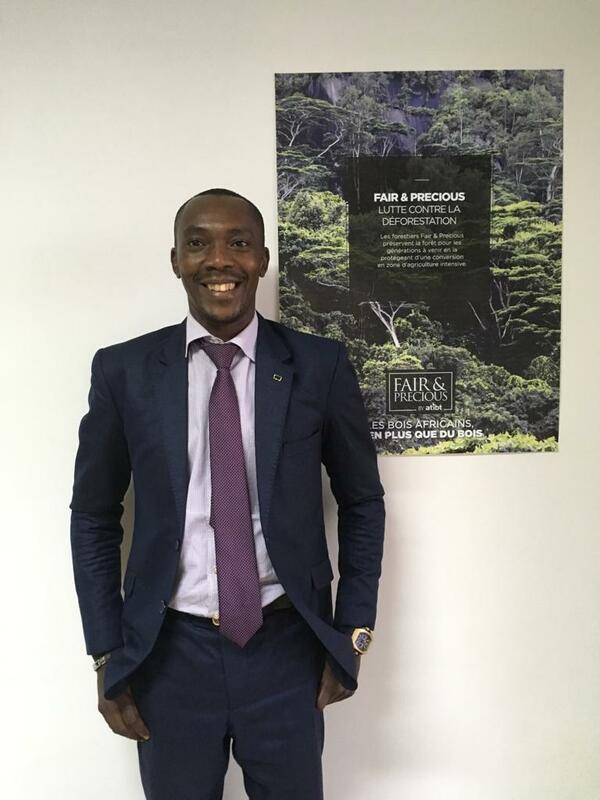 initiated the inter-union forest-wood (ISFB) which today gathers four professional associations: UFIGA (Union of Industrial Foresters of Gabon and Aménagistes), UFIAG (Forest Union of Asian Industries in Gabon), SIAG (Union of Industrialists Gabonese Plants ), and FGBSP (Gabonese Federation of Wood, Sawing and Veneer). organized consultation days with forest companies to better involve them in the process of drafting the new forest law, or Order 105 setting the model of contractual specifications in the Gabonese Republic. Let’s also announce that a UFIGA website will be available soon! Identify companies that are interested in certification and who could benefit from support through the Program of Promotion of Certified Forest Exploitation (PPECF). Participate with the PPECF-COMIFAC team, Program “Promotion of certified forest exploitation”, to diagnose legality and monitor the implementation of their action plans. 3. “Improving the consideration of third-party verified certification in FLEGT-REDD processes” funded by KFW Bankengruppe via PPECF-COMIFAC.